CES 2014 is here and the trend this year seems to be "more is better". Its great when your favorite company releases special edition versions of popular PC components or peripherals. Or when they finally update that awesome product you have been holding onto for years. They only thing better than that is when ROCCAT releases new versions of pretty much everything they make at this year's show. For starters, ROCCAT is showcasing two new Kave XTD gaming headsets (one digital and one analog). The flagship of the two being the Kave XTD Digital model comes with a built-in 5.1 soundcard and Blue-tooth so you can connect it practically any portable device for premium 5.1 surround sound (pictured above). The analog did not get left out as it sports two drivers with independent audio volume controls for the perfect sound stage. And all that is in addition to improved build quality and a 25% reduction in weight. 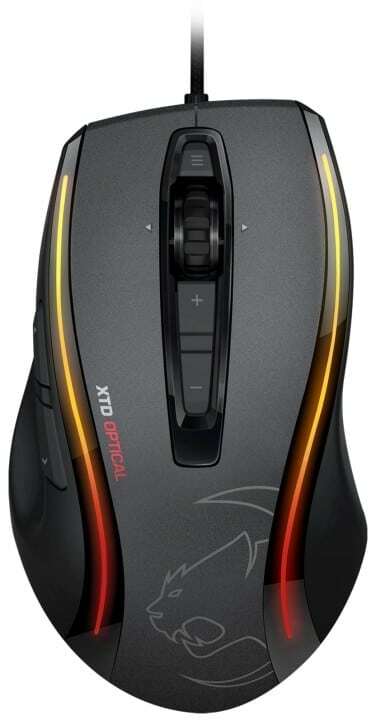 Next up is the ROCCAT gaming mice and the latest addition to the line is the Kone XTD Optical. This new gaming mouse brings the sensor up to a "new year's resolution" of 6400 DPI, with an adjustable lift-off distance. Now gamers can control how far off their gaming mat they have to lift their mice to stop the sensor from registering inputs. Too much? Then you also have the smaller, Kone Pure Military with a 5000 DPI sensor and three military themed color schemes. While we are on the subject, ROCCAT is also coming out with an entire new line of mouse pads called Siru. These promise to be oversized, cleanly colored, pads with an extra sticky bottom and smooth as silk top. The perfect pairing for your new ROCCAT Kone. Finally we have the new Ryos TKL (Ten Key-Less) which owes its existence solely to the fans. The new mechanical Ryos TKL keyboard is a compact version of the full-sized Ryos. It was listed on Facebook as an easter egg that garnered so much support from the fans that ROCCAT is going to make a real one, well two actually. One will have illuminated keys and both will come in 4 different Cherry MX switch options. You wanted it, you posted about it, and now ROCCAT is giving it to you. If you are missed out on getting a limited edition Kone mouse last year, then it is time to spend that money you saved. You can expect to see all of these great items available soon. I plan on getting the whole set since ROCCAT also plans to offer several of these as bundle deals. The full press release is below. 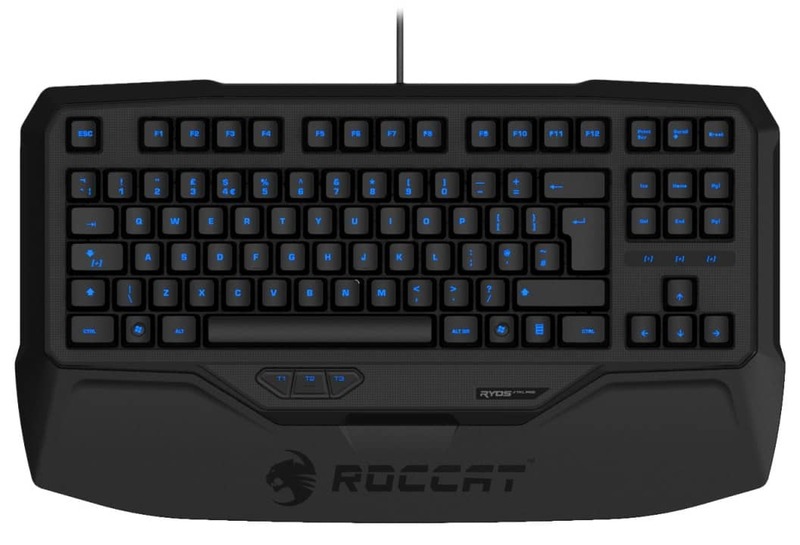 January 2, 2014 – At CES, German manufacturer ROCCAT will kick off 2014 with a full line-up of new gaming peripherals. From January 7 – 10 ROCCAT opens the doors to its Venetian Hotel showroom, showcasing new products in every category: mice, keyboards, headsets, mousepads and accessories. “2014 will be a phenomenal year for PC gaming – so much is changing at the moment and ROCCAT is about to prove its role as the industry’s leader in technology and innovation once more. With the products coming up next year we will be able to provide a whole ecosystem for PC gaming,” says René Korte, founder and CEO of ROCCAT. 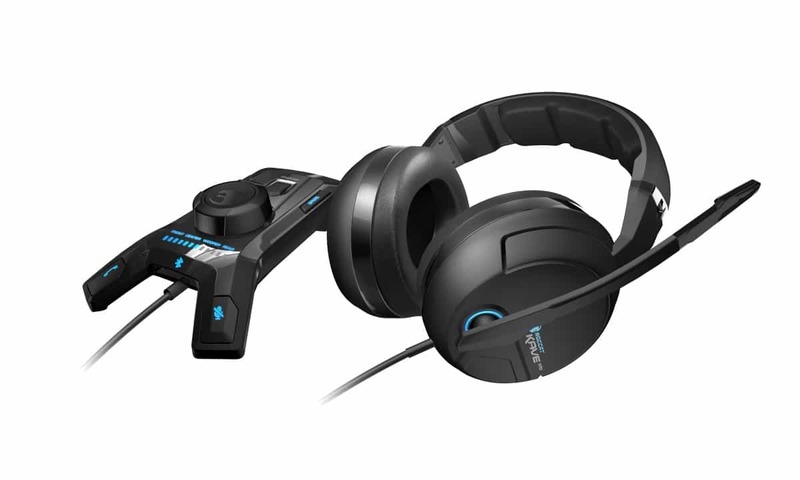 At CES 2014 ROCCAT will introduce two new Kave XTD gaming headset models, making the Kave XTD series the company’s full range line-up when it comes to audio products. The Kave XTD 5.1 Analog is the successor to the best-selling true 5.1 gaming headset in the world: the original Kave 5.1. Made for gamers with a 5.1 soundcard already built into their PCs, the Kave XTD 5.1 Analog features classic 5.1 audio jacks plus a USB connector to power up the in-cable remote and the LED lighting. The headset features unique Zero Noise technology thanks to the interference isolator built into its dual-mode in-cable remote. The remote can be used either as a desktop or clip-on remote. The overall comfort and build quality has also been improved significantly, with the weight impressively reduced by 25%. The Kave XTD Stereo offers the same build and design, dedicated to comfort and durability. The stereo version of the Kave XTD features two powerful driver units delivering intense and rich gaming sound, pushing the boundaries of what is possible with stereo headset solutions. The detachable noise-canceling microphone provides supreme sound quality and offers fan-favorite features like the mute LED, pioneered by ROCCAT in the original Kave 5.1. With the Kave XTD 5.1 Digital, ROCCAT will also present again the flagship version of the series, featuring an inbuilt premium 5.1 soundcard, world-first headset-to-smartphone Bluetooth pairing and full audio controls with the comprehensive desktop remote. The legendary Kone Series by ROCCAT is the origin of many features that are standard for gaming mice nowadays. Kone series models where the first ones to feature multicolor lighting, state of the art sensor technology and innovations like the tracking and distance control unit (TDCU). Now ROCCAT introduces the Kone XTD Optical with an adjustable distance control unit to customize lift-off distance and a new 6,400 DPI optical sensor. Gamers are now able to significantly improve their accuracy with optical sensors. The Kone XTD Optical offers renowned features like Omron™ switches, the 4D Titan Wheel, Easy-Aim and ROCCAT Talk. For the smaller Pure version of the Kone Series, ROCCAT presents three new designs at CES 2014. The Kone Pure Military features a 5,000 DPI optical sensor with TDCU and will be available in three different styles: Desert Strike, Naval Storm and Camo Charge. ROCCAT will also make the new Kave XTD 5.1 Analog plus a mousepad available in the same design and sell the mice alone or as a bundle. ROCCAT’s mechanical gaming keyboard series, Ryos, gets two compact ten key less versions – one with per-key illumination feature and one without backlighting. The new versions are called the Ryos TKL Pro and Ryos TKL. Their development is based directly on user feedback via Facebook. “We posted the ten key less version of the Ryos as an “easter egg” earlier this year. The TKL Pro version features a cutting-edge MCU, which supports impressive illumination effects such as “breathing” and will be available in four different switch colors.